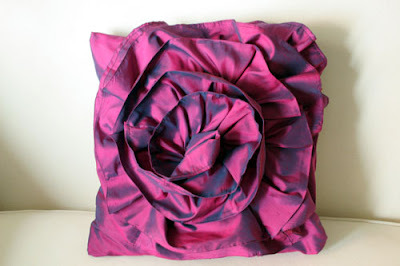 As promised, here is my second attempt at making an A Detacher style rose pillow from repurposed clothing. My previous ruffled pillow used the zipper of a skirt in order to make a removable cover. 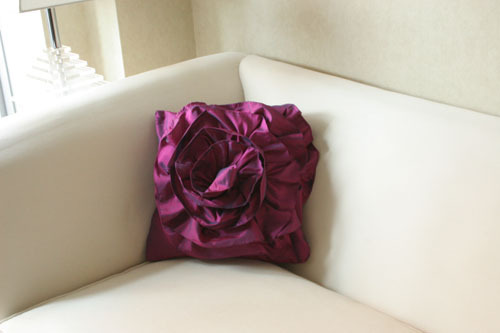 Also, the ruffles on the previous pillow rolled back. For this pillow, I made an envelope pillow cover and I attempted a flat ruffle. 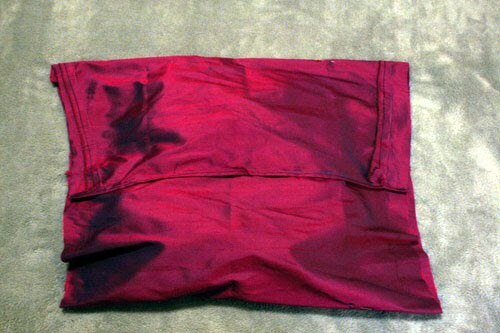 After two tries, my pillow still doesn't completely mimic the one by A Detacher, which could explain why Mona Kowalska is a successful designer of pillows and clothes while I blog in obscurity. My materials are this sad bottom half of a bridesmaid style dress. As you can see, I will not be wearing it again. Also, that blogging causes weight gain. I used a second-hand pillow as a form. Here is how I cut up the back of the dress. 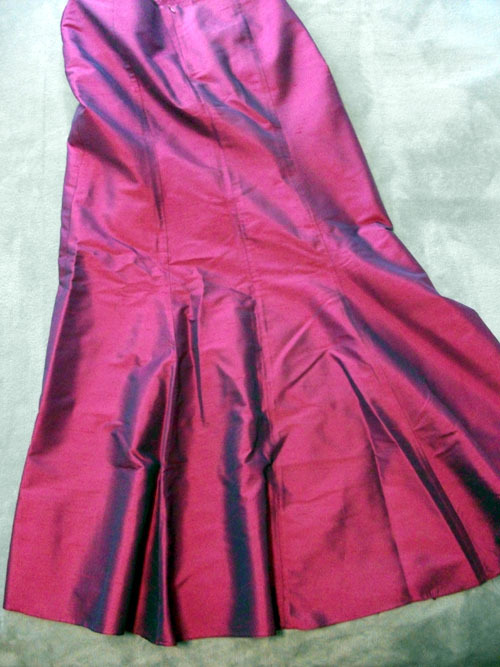 I used the strips to make the ruffle. 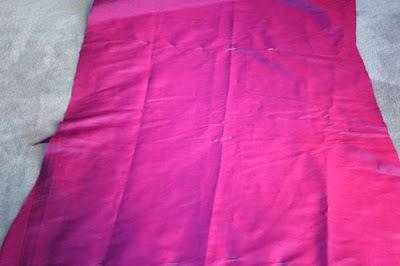 The strips should be cut to the same width and, if needed, hemmed along one edge. 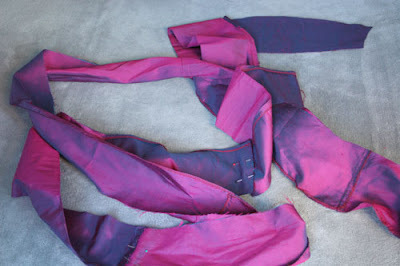 Then sew them together into one long strip. Hem the two ends. 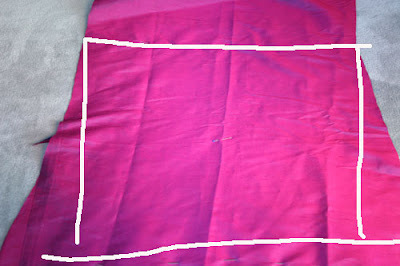 Cut a rectangle from the front of the dress or skirt to make a pillow cover. The width should be the width of your pillow form plus 2 inches for a seam allowance. The length should be double the length of your form plus about 6 inches for an overlapping opening in the back. Try out the fabric, centering the overlap on the back. Mark the fold lines with pins or tailor's chalk. Mark the center of the front of the cover with a pin or chalk. Your marks will give you an outline of the front of the pillow cover. Hem the two short ends of your rectangle. 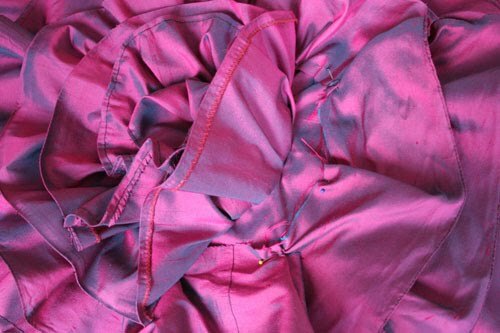 Starting at your center point, begin pinning the ruffle to the front of the cover, starting with a tight circle then spiraling out. 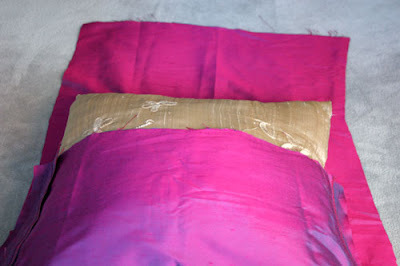 The right side of the pillow cover should be up, and the right side of the ruffle fabric should also be up. 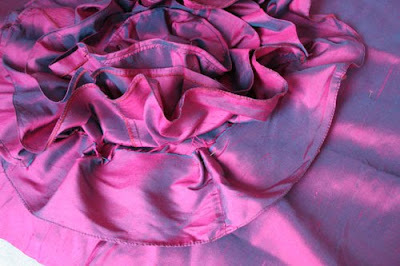 Bunch the ruffle fabric together into small pleats every few inches. Starting from the outside of your pinwheel, sew the ruffle, removing pins as you come to them. If the spiral becomes too tight in the center for your sewing machine, handsew the remaining spirals. 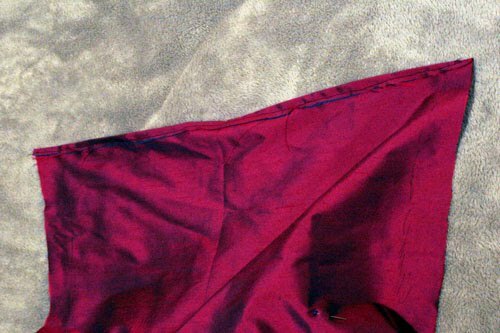 With the wrong side of your fabric facing out, sew up the two side seams using a one-inch seam allowance. 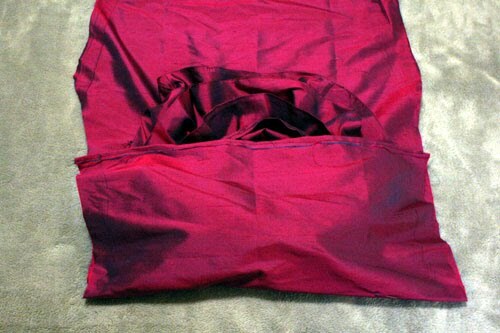 Turn the pillow right side out and insert the pillow form through the back flap. And you're done. Don't forget to enter the vintage floral frog giveaway. Statistically, you have great chances of winning this one. That fabric is living a much better life as a pillow than a skirt. I think your efforts were quite successful. 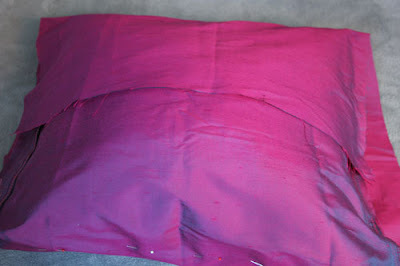 I'm probably never going to buy a pillow again - I have your blog. Great job! And I totally agree with you about the blogging = weight gain. All my free time goes to my blog. This past winter I went on a fitness bender and had no time to blog, now I'm back blogging and have no time to exercise. Just need more time! this pillow is beyond gorgeous! 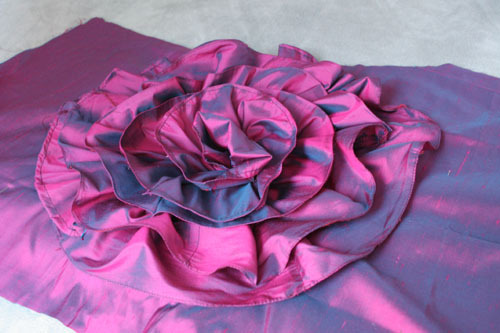 love the luscious ruffles used to create the flower! Legal! Tenho uma saia de tafetá que queimei com ferro de passar antes de terminar de fazer, e está encostada. Vou fazer algo assim! 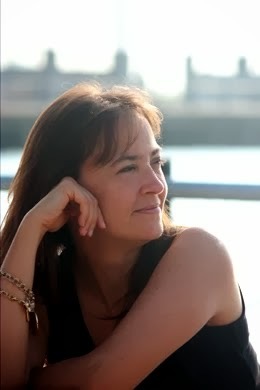 Featured this on my site today, beautiful! Really creative! I hope one day I can also make one!